You would be surprised to learn how many people around you have either considered adopting and backed down because of the price, have been adopted themselves, or have a heart to ensure children in need receive the love and care they deserve. Every time we have the opportunity to talk about our cause, we hear such compassionate stories of those who care just as much but did not know where to go to help. 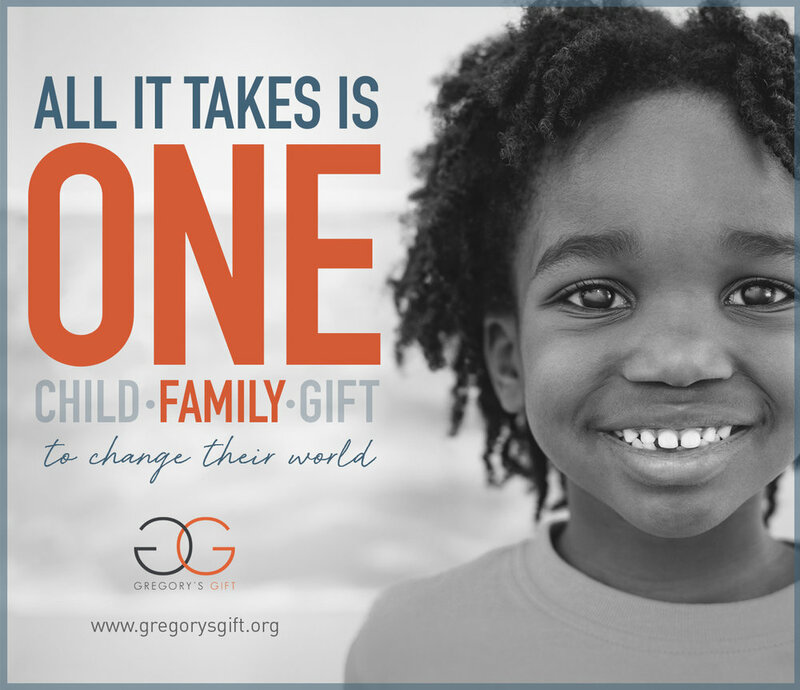 Gregory's Gift has been able to grow because of our supporters who share our cause and expand our network. We encourage you to freely use the below images and social media links to share our cause. You can post it on Facebook. Share it on Twitter. Put an image and link on your website. Or print our cards to share at an event. It WILL make a difference and costs you nothing. Simply click on an image below to review and save it. Thank you!